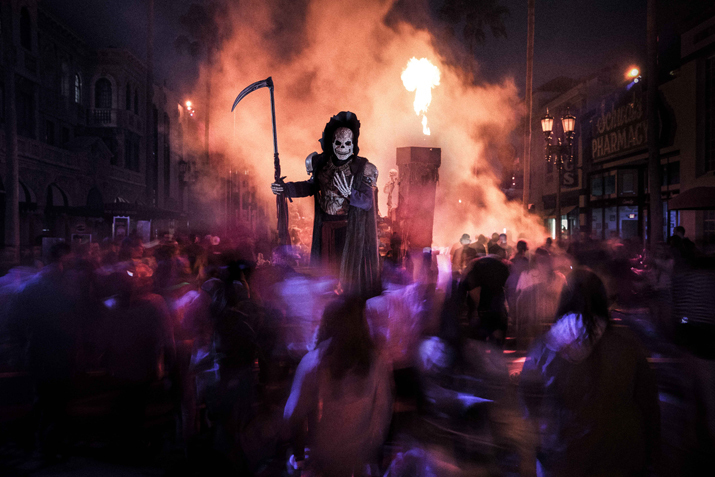 24x79: Halloween Horror Nights Orlando Announces Earliest Ever Opening Date for 2019! Halloween Horror Nights Orlando Announces Earliest Ever Opening Date for 2019! Universal Orlando isn't wasting any time, and although we're not quite done with 2018 yet, they've decided to announce the dates for HHN before the blood has even dried from this past year's event. Halloween Horror Nights 2019 will be running on select nights from Sept 6th thru Nov 2nd. That is a ton of nights for folks to get a chance to see the event! While news is awesome, as so many people love the event, I can think of a few reasons not to overdo things; event fatigue, diluting quality, and a host of other things come to mind but here's to hoping they can pull it off. There's not much else to really report here on this one but keep it tuned in for more news out of Halloween Horror Nights Orlando and haunts all over the world as we gear up for 2019! Side note, it's also fitting that the first haunt write up here is also from one of my favorite haunts to have worked at over the years. this year in 2019 i think Eddie or Cindy should be the icons for this year they need their moment in the spotlight or have both of them as a team just imagine them bringing along some friends to bring havoc they can also receive terrifying new looks like jack and chance in 2015 and 2016 or have the caretaker icon updated to look more sinister or even the director bring some new movie based horrors maybe even the storyteller needs a upgraded design and reveal her most scariest tale yet or the usher Julian comes back with a upgraded new design. another choice for a icon is finally have Nathaniel crow appearing in the flesh now taking his revenge for being forgotten for so many years now he wants to bring a new era of fear, chaos, death, vengeance, and seal your fate his arrival we be legendary. one idea for a haunted house or maze for 2019 is having the universal classic monsters come back bigger and badder than ever they do not want you disturbing their final resting place but unfortunately you have disturbed them and they want your life hunting down the uninvited victims. i would also love to see the return of legendary truth make a big comeback doing a investigation on a ancient evil being unleashed to our world that evil force could be something that occurred with Eddie or Cindy or Nathaniel crow yeah that would be interesting. other house concepts include the return of the nightingales with a new sequel or prequel the return of saw and steam with a new sequel or prequel house or scare zone. another concept is we see the return of Larry who hosted holidays of horror he has escaped from prison and now seeks revenge on those who imprisoned him or having a twisted version of father time presenting new twisted holiday scenes in a new haunted house or scare zone. i would also love a sequel or prequel house featuring havoc those bald headed genetically modified super soldiers coming after new victims. i think most of the houses and scare zones for 2019 Halloween horror nights will be revealed along with a website maybe commercials on the end of August .